Easy on-screen time & money meter. Stays always visible and can be sized up and down. You can specify price per hour and free time limit. Keeps track of jobs and sub-jobs and is able to save automatical screenshots every minute. 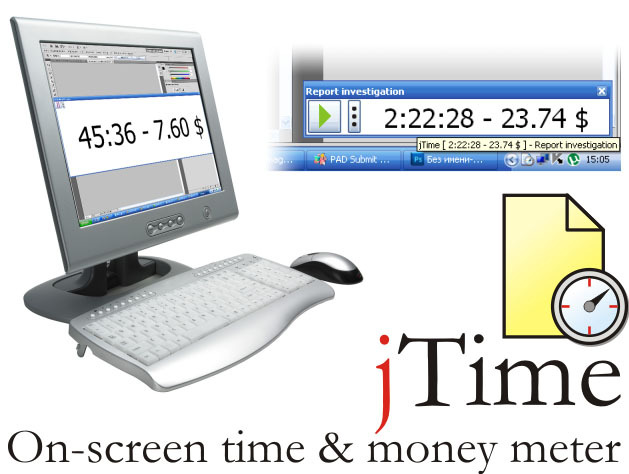 Support for JTime is available from the Publisher site. Planetsofts.com didn't scan JTime for viruses adware, spyware, or other badware. For safety reasons, we recommend that you always keep an updated antivirus installed on your pc when downloading and installing software from the web.